Today is Jennifer’s birthday and we spent it running around getting her presents and getting a cake. We started off the morning picking up a new bicycle from Target. Abby and Emily helped me pick it out. Abby said we needed to get a red one since that was Mom’s favorite color. We also got a baby seat for the back of the bike for Isabelle. We picked up a cake and some flowers and then presented all of what we found to Jennifer when she came home from shopping with Isabelle. Later that evening Jennifer and I went out to Ruth’s Chris Steakhouse and then went to see a movie. Jennifer got a free desert since it was her birthday. She chose a banana cream pie, which was very good. 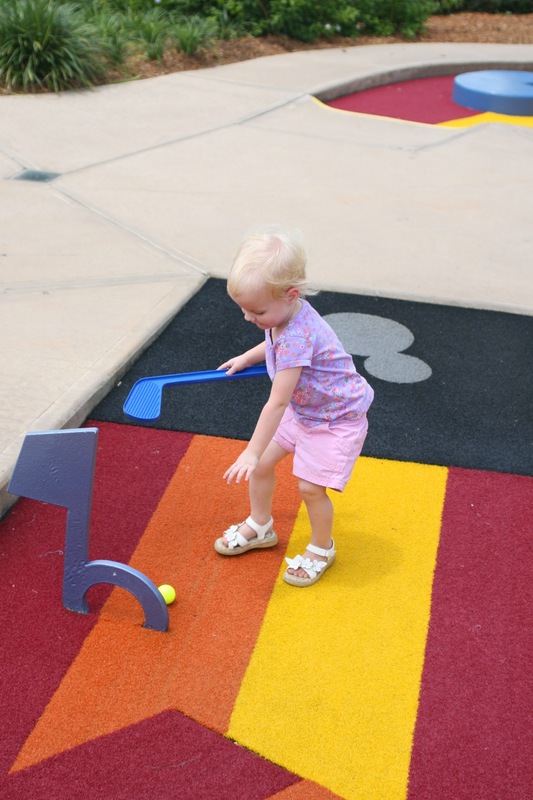 Today’s picture if from when we went putt-putt golf on our recent Disney vacation. This entry was posted in Abby, Emily, Family, Isabelle, Jennifer by Jason. Bookmark the permalink.